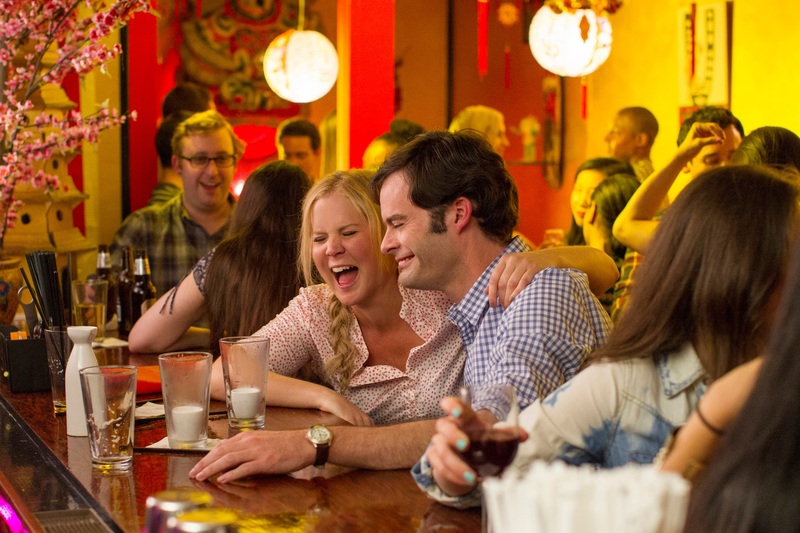 After watching “Trainwreck“, written and starred by the new “it girl” Amy Schumer, I asked myself the following question: “Was Amy a real trainwreck”? The plot itself is not unheard of, but the way how the story was delivered was definitely enjoyable. Despite of its adult content, it’s still a very cliché film: Amy (the protagonist) has a serious “allergy” to commitment, she can’t digest the idea of having a guy genuinely interested in her and ready to be in a serious relationship. However, her lifestyle is put to the test when she meets Aaron (a really nice guy). I always had this theory, that if you have fucked up parents, chances are that you’ll be a pretty fucked up adult too (no matter how hard, you try to break the mould). In Amy’s case her “beloved” father was the one responsible for her pessimist views on “love”: he taught his two daughters from a very young age not to believe in monogamy. My guess is that each person absorbs information in a different way: some digest it the way it is and others question it. Amy accepted her dad’s information as the truth and managed her “relationships” according to it. Her sister on the other hand, decided to question the “truth” and choose another lifestyle for her. She has a job, I mean, she earns enough money to pay for the rent of her apartment. She’s not a sexually frustrated person. Her inability to stay in a long-term relationship did not prevent her from getting some. Though, she has had countless one-night stands, she has managed to stay “clean”. In my opinion, that’s impressive to say the least. She might party hard, but she can handle it. She always manages somehow to show up at work. Apart from alcohol and weed, she doesn’t have that many vices.